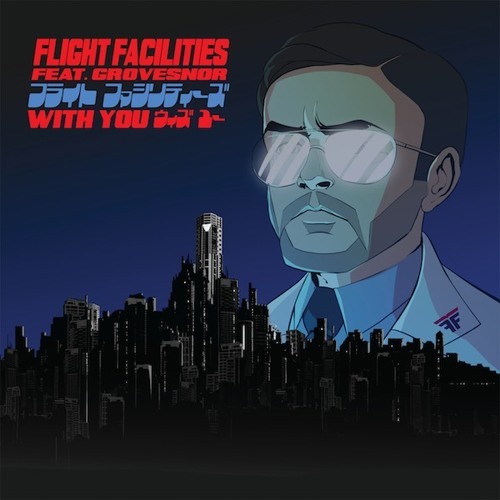 Buy: Flight Facilities have a brand new single called 'With You', this time featuring the vocal work of Hot Chip drummer Grovesnor – something darker, something deeper and something more mature. The duo from Sydney bought you 2010’s pop hit ‘Crave You feat. Giselle’ which has netted over 5 million plays on Youtube to date, appeared in cult shows such as How to Make It In America, hit the top 20 in Triple J’s Hottest 100 and even impressed Perez Hilton. In 2011 they released the 70’s disco throw back 'Foreign Language feat. Jess’, once again it cracked Triple J’s Hottest 100, topped Australia’s Independent Music Charts, was loved by The Cool Hunter and turned out to be the song Leonardo DiCaprio requests when he’s out clubbing! In that time Flight Facilities have also gone on to remix Cut Copy, Holy Ghost! and Foals and play sell out shows and festivals all across the US, Europe, South America and Japan. Alright, alright – who’s on the remixes?! Flight Facilities are first up with their personal extended mix, Germany’s David August, the 20 year wiz kid who’s just be inducted into cult Hamburg label Diynamic, enters with a pitch shifted druggy flip on the original. Danny Daze is the man behind the HUUUGE Hot Creation anthem ‘Your Everything’ and has gone crazy with his glitched out Aphex Twin-esk 5AM mix while UK duo MAM (Matt Hughes and Miguel Campbell) bring it back with a chunky bass and Rhodes summer anthem. Amazing remix ! Blogged at www.lesoundrivin.com !